Specifically, Lisa was recognized for her impact in developing emerging professionals, advancing diversity, and engaging with communities. Lisa has served as a 7-time team chair for National Architectural Accrediting Board visiting teams and served two terms on the national AIA Young Architects Forum Advisory Committee where she was the editor of the YAF Connection, the group’s primary outreach activity. 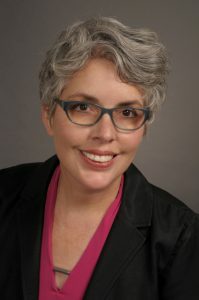 She advised on diversity and inclusion priorities for the Institute as a member of the national AIA Diversity Council, improved how firm leaders support their differently-abled staff by creating and presenting “Engaging a Diverse Workforce” for the 2017 AIA Conference on Architecture, and created the initial planning for the 2018 Design Justice Summit. Lisa has inspired architects across the country to be active in their communities by creating and presenting “Shaping Communities” for the 2017 AIA Conference on Architecture, speaking at the 2018 Leadership Institute national broadcast, and serving as a two-term member of the Oklahoma City Urban Design Commission. Throughout her career, Lisa has also devoted her time and talent to professional service, including two terms as President of AIA Central Oklahoma and founder of the chapter’s Women in Architecture group. Lisa has served on multiple AIA national award juries and committees and is herself a recipient of the national AIA Young Architects Award. Lisa holds a M. Arch from Pratt Institute and a B. Arch from the University of Oklahoma. Lisa is currently Principal Planner for the Current Planning and Urban Design division of the Oklahoma City Planning Department where she leads the City’s design review processes across six different design districts. In this role, she uses her architectural expertise to influence public decision making, improving public and private development to ensure a vibrant, attractive environment for the entire community. Before joining the Planning Department, in over two decades of traditional architectural practice, Lisa established herself as an accomplished manager of complex and large-scale projects, both new and renovation. Working in both Oklahoma City and New York, she led the design and production of numerous educational, cultural, and laboratory facilities.